Wednesday morning, we got baby turkeys. 20,000 one-day old poults. 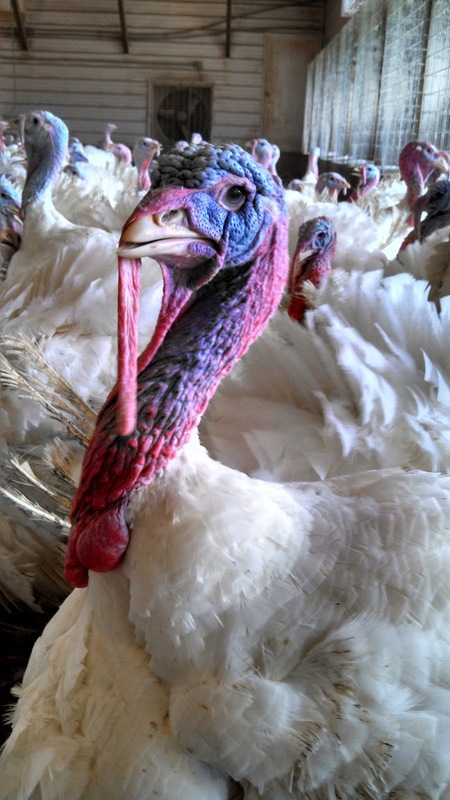 Less than two hours later, we got a call – bird flu was found on a turkey farm 7 miles from us. We were scheduled to load out turkeys in 10 days. We market 5 or 6 flocks a year. So loading out is a big deal. A successful flock means that we get paid. And it’s a big check. Not only does it cover the expenses for the flock (which has been on the farm for 5 months) but it also allows us to make payments on our barns and equipment. And it’s our main source of income. A successful flock = 1/6 of our annual income. We HAVE to get these birds to market. One more flock means 2 more months of normal-ness. We’ve started cutting back expenses. And I’ve been looking for a full time job (I work 10 hours a week for the Iowa Turkey Federation right now.) But if we got bird flu, we’d be in a world of hurt. 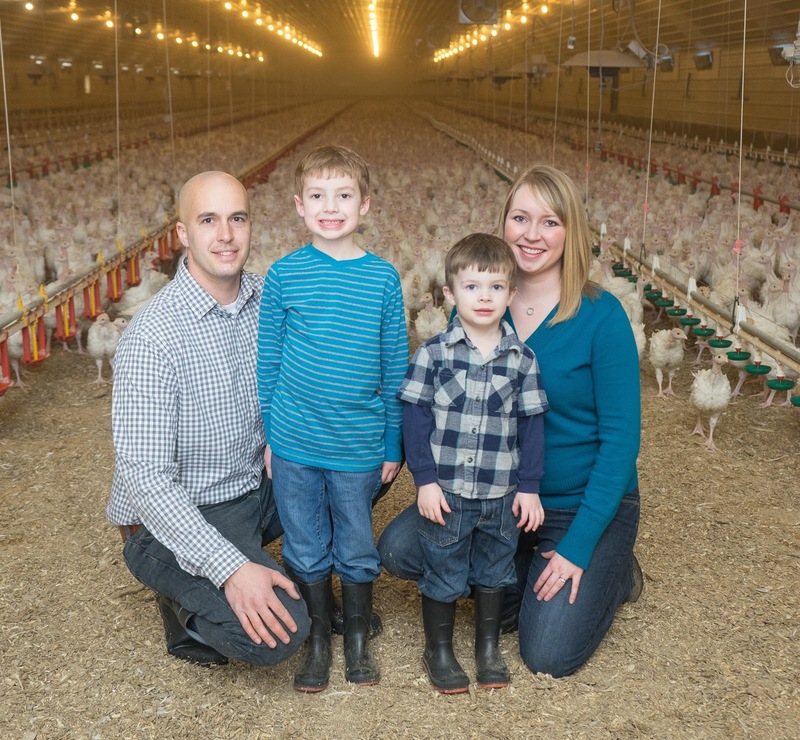 Because if we had a bird flu outbreak on our farm, we wouldn’t lose just one flock. We’d lose the infected flock, of course, but other flocks on our farm would be euthanized. Right now, we have 3 flocks. 3 flocks = 1/2 of our annual production. The gov’t would pay us for the euthanized birds – just enough to cover the expenses (feed, etc.) – but not enough to make barn payments or equipment payments, and certainly not enough for us to draw any income. And then, the clean out process and repopulation process could take months. We would sit out at least 2 flocks, and it would take another 6 months after that to get back up to full production. Are you doing the math with me? We’re talking about at least 5 flocks, plus a few more months before our birds would be ready for market. That’s huge. Mostly because our barn payments are gigantic. So, it was 10 days until we load out. And the latest turkey farm with bird flu is 7 miles from us. 7 miles! I know people that regularly jog 7 miles. Within a few hours, we were getting ready to load out sooner. ASAP, really. First, fat samples had to be taken (and tested) and another blood test to make sure that our birds weren’t infected with avian influenza (it’s standard – we test every single flock and always have.) The tests came back “clean” yesterday and Bart loaded out last night, 8 days ahead of schedule, in order to keep from losing a fully-grown flock. I’m trying to stay positive and look at this with some perspective. We DON’T have bird flu on our farm right now. We have good friends who have had outbreaks – the worry we feel right now is nothing compared to the devastation they feel. Our family is healthy, and there are literally millions of people going through worse situations as we speak. 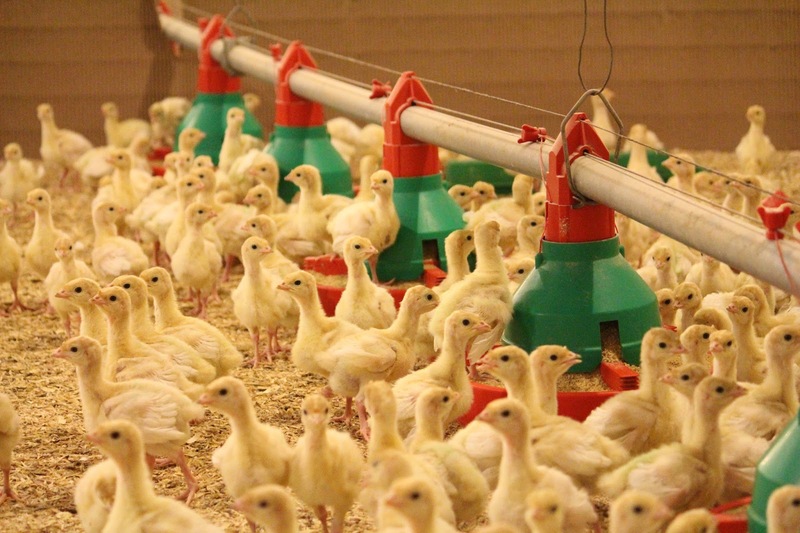 We’re not (yet) in a bird flu nightmare – it’s still just a bad dream for us. But it’s still sort of hard. Okay, fine, really hard. There are times when I can’t think about anything else. There are times when I feel like all my brain power is going towards this one thing. There are times when I just want to curl up in a ball and binge on netflix and Candy Crush. Bart’s been a rock during this. He has always been more laid back than me. We’re both pretty optimistic, but he’s a lot better at managing his worry. Wherever I go, people ask me how I’m doing, and tell me they’re praying for us. It means so much to me. Lately, when they ask how I’m doing, I’ve been able to truthfully say that I’m doing well! Minnesota had gone 10 days without a new case of bird flu! And it’s been slowing down in Iowa, too! We were starting to feel a lot better about the situation! And now, it’s 7 miles away. Last night, the boys and I ran to the gas station to get snacks for Bart & the load out crew. They usually load out in two nights, but they did the entire flock last night – it took them from 8 pm to 5 am. While we were picking out our goodies, a few guys walked in to the gas station. When I turned around and saw their shirts, I wanted to puke. They work for the contractor who has been cleaning up infected farms – they’d spent all day on the infected farm and were stopping for supper on their way to their hotel. And we were at the gas station at the same time. They assured me they’d properly decontaminated, but I know they hadn’t showered yet. Experts say the virus isn’t airborne, but it can be “vector-borne through the air” meaning it hitches a ride on dust or feathers. As we headed home, I realized that the crew was driving right past our farm. It makes me feel dirty just thinking about it. Maybe I overreacted, but we stopped at the end of the driveway, washed the truck with disinfectant, and I made the boys strip down outside. I took their clothes straight to the washing machine and threw mine in, too (reds and whites and blacks – oh my!) and then the three of us showered. Seems crazy, doesn’t it? This is our reality. This blog – I know my blog has been sort of inconsistent lately. A serious post about a bird flu, surrounded by home décor and gardening posts. Sort of random, right? But it’s how I deal. At least part of my life needs to feel “normal.” I can’t just wallow in worry everyday, and neither can this blog. Focusing my attention on something as trivial as home décor (because let’s face it, in the grand scheme of things, it is trivial) is a way of coping. Plus, knowing that I may be going back to work full time for the first time in 5 years has lit a fire beneath me. I know that there will be a definite transition, and it will be made easier by an organized house, which has led to the closet projects and garage sales and purging. People keep asking if we’ll replace the flock we just sent to market. The answer is YES! As I said before, we are committed to this, even though it seems crazy risky right now. The 2 day old poults in the brooder house will end up in the finishers we just loaded out. This flock will load out in about 135 days. We just keep on keeping on, because that’s the only thing we can do right now. Eeek your posts always scare me because I have the same fears. Luckily we are pretty isolated in the turkey industry we raise turkeys in Central Utah, and so far so good for are state, but there is always that fear. We are loading turkeys for the next three nights too... sometimes I wish it could be one night and get it over with LOL. Praying for you and your turkeys. Keeping you (and the rest of the industry) in our prayers!! I have thought of you so often as I have read reports of the bird flu. I'm so glad that you were able to get this flock out without any trouble. You were on my mind and I'm sending prayers your way! Prayers. I see the effects of bird flu in pricing and I think of you. We can eat a different meat, but you can't just up and start farming cows. I'm glad you haven't had trouble and pray for smooth sailing ahead. Wow, that's stressful! I've been watching your FB posts and thinking of you a lot. Praying it misses you! Perhaps you should say a prayer as well, for the farmer 7 miles away. showing some empathy for those living your greatest nightmare. But for the grace of God go I. You're right, Judi. We have been praying for them, and all the farmers affected. I don't want to minimize what they are going through. I know that it is devastating for them, and I've been encouraging people to pray for all the farmers affected.